Step 1: Log into your CompanyCam account on the web. 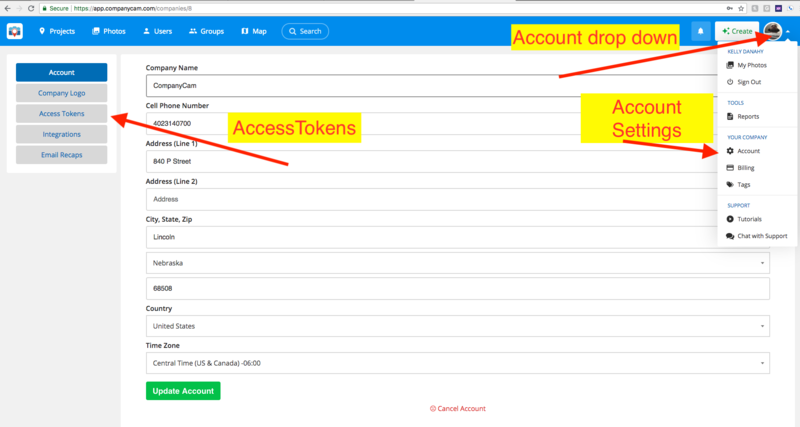 Go to your Account Dropdown Menu, click on your Account Settings, then select the Access Tokens Tab. 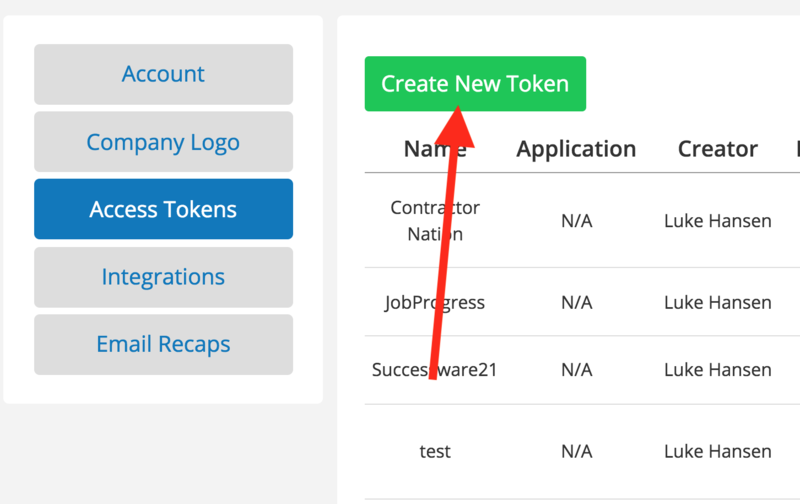 Step 2: Once you click "Access Tokens" click the green button "Create New Token". Step 3: Name your create your token. We recommend you name your token "SuccessWare21". Then Create your Token. 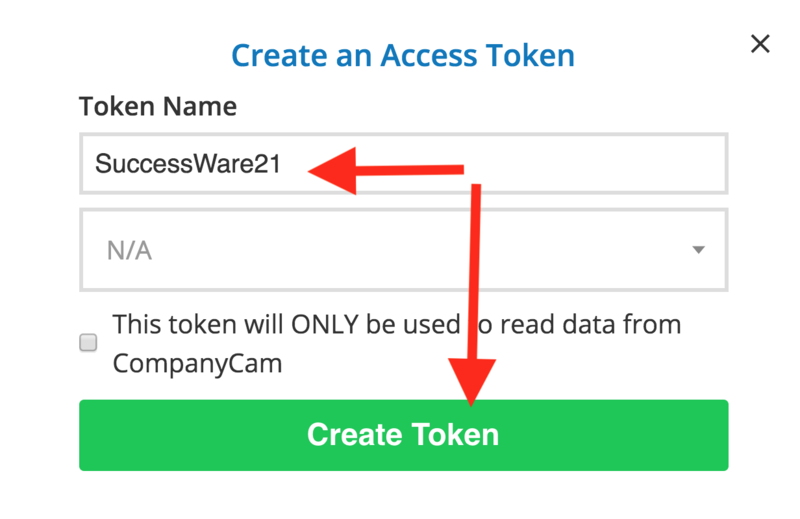 Step 4: Once Token is created copy and paste the Token ID into the SuccessWare21 Access Token Field. Step 5: Beyond this point you will need to login to your Successware21 account and finish the sign up process. Below Are links to a PDF guide and a video to show you how to finish the setup.